In a career that took her from Huron to Laramie, the talented Amy Burnett continued to break records and accumulate honors. Huron reached the Class AA state girls tournament three consecutive seasons with its stalwart, Burnett, being chosen as a member of the all-state team during each of those years. The Tigers of Coach Tim Buddenhagen won the championship during Burnett’s junior season in 1989. 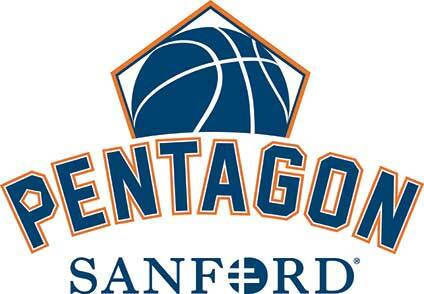 They defeated Sioux Falls Lincoln 65-63 in the title game. Huron then came back to take third in the tournament when Burnett was a senior. The Tigers were 42-5 overall during that span. As a senior Burnett set the state tournament scoring record. She put together games of 26, 29 and 31 points for an 86-point total. She was named the state’s Miss Basketball and finished with 1,963 career points for the Tigers. Burnett had a high single game of 44 points. Burnett exhibited exceptional versatility at Huron. In addition to her basketball exploits she was also named an all-state volleyball player. And in track she was a state champion in the discus and shot put. Continuing her basketball career at the University of Wyoming, the 5-foot-11 Burnett played for Coach Chad Lavin and emerged as one of the greatest players in the history of the Cowgirls. 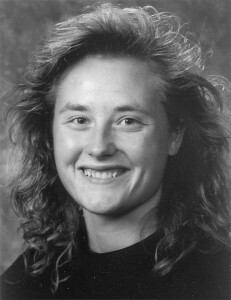 Burnett was selected as a member of the all-Western Athletic Conference team in 1993, 1994 and 1995. She was also the recipient of the prestigious honor of being named WAC Player of the Year after both her junior and senior seasons. She concluded her Wyoming career with 1,782 points, averaging 16.3 per game, and grabbed 829 rebounds. Burnett had career accuracy averages of 58 percent from the field, 42 percent on 3-point attempts and 84 percent on free throws. Her top single-game scoring effort as a Cowgirl was 37 points. She is a member of the Wyoming Hall of Fame. Burnett has had an active and successful career as an educator and coach. She lives in Austin, Texas.